Hello! 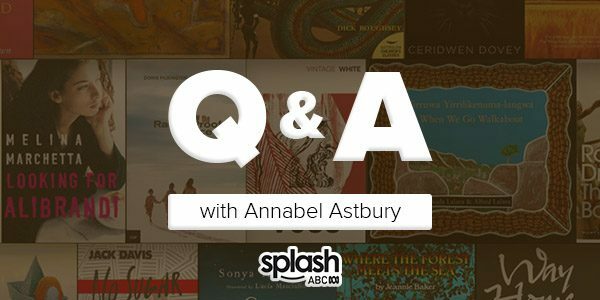 I’m the Head of Digital Education at the ABC where I work with a very talented team to bring audiences ABC Splash – an education service that creates resources for Australian teachers and students. In partnership with Reading Australia, we created a wonderful collection of interviews with some outstanding Australian authors, poets and playwrights. These have been extremely popular on the site – students and teachers hungry for insights straight from the artist’s mouth. Reading Australia not only provides a practical service for teachers and students, in its careful curation of Australian literature but also an important cultural role, celebrating the diverse Australian voices in literature, poetry and historical writing. I used to worry that in an educational and economic climate that places such a focus on STEM (Science, Technology, Engineering and Maths) skills that the humanities would suffer but in actual fact, I am pleased to see lively debates erupt about the importance of the humanities, and literature, in this environment. I am also heartened to see diverse Australian voices that are representative of Australian society being published – this future is indeed bright. I am going for a sentimental favourite: Louis Stone’s Jonah. I have a background in history education and have had a particular interest in 19th and early 20th century Australian History. Complimenting this interest has been reading Australian literature from these periods as historical sources in themselves. Jonah interested me not only because of the wonderful dark urban landscapes Stone depicts (such a departure from the bush legend!) but also because of the period it is written in – before the Great War and before the roaring 20s – in some ways the most Australian of Australian periods.